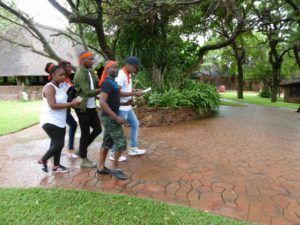 On Thursday the 15th of December 2016, Inqaba Biotec SA travelled to the Kwalata Lodge, north of Pretoria. Kwalata in Dinokeng Game Reserve would be the venue for our yearend function. The day started with grey followed by thunder showers. “Oh no!” we all seemed to think. But the thunder showers went as quickly as they came and soon the sun would peak through the clouds and provide the warmth the north is known for. The theme seemed to play with the idea of hunting for our food. If you had told me to “hunt”, I would have sat this one out. But what a day we had! We were divided into 4 teams. The Yellow team, Orange team, Pink team and Purple team. 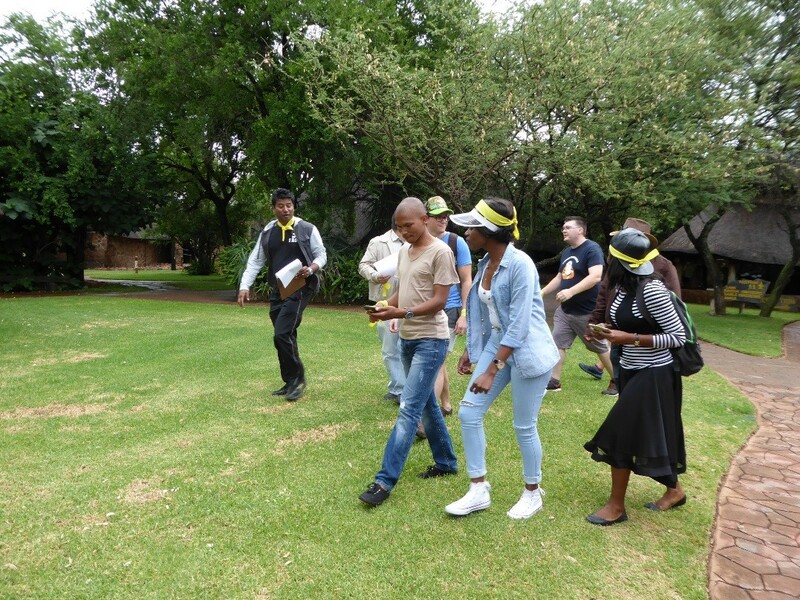 Each team scattered at the start, divided into strategic groups to tackle each activity. Each activity would lead to a potjie pot, a spoon, oil, spices, our choice of protein, vegetables and many other extra ingredients that would come together to make the perfect potjie. If you were to ask each of us which activities we enjoyed best, there would not be one activity that stands out over the others, because they were all so much fun. From finding a leaf of a Gardenia tree to impala droppings, to working out anagrams, to solving puzzles which resulted all in all working off breakfast pastries. The team spirit demonstrated by each member of the four teams was amazing. 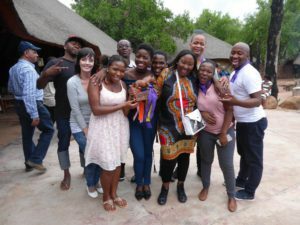 We showed ourselves and each other why we are the leading genomics company in Africa. Teamwork. That’s magic right there. 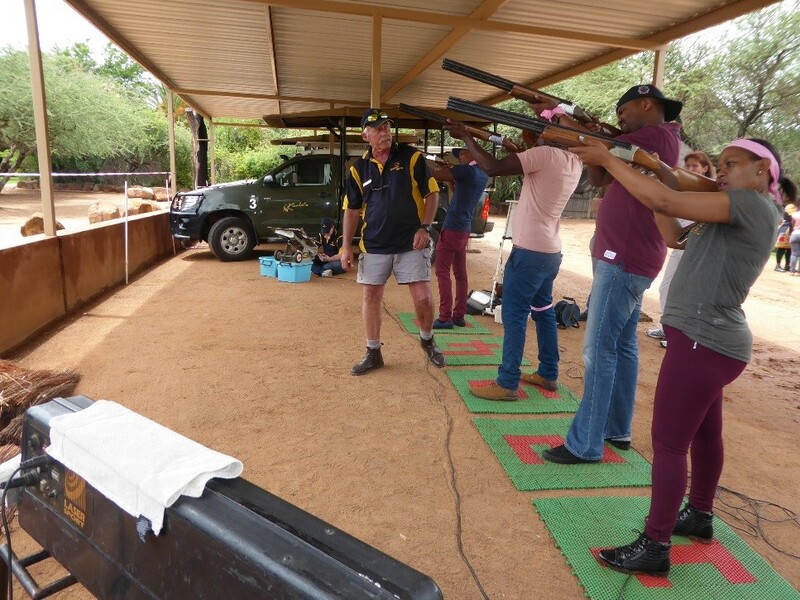 It was up to our shooting skills to provide one team with an advantage – choosing the time to serve a potjie. The orange team shot the most clay pigeons, followed closely by the pink and yellow team. Sadly the purple team who were clearly not hunters, scored the least points, by far, and coincidently the team that lost out on their choice of protein. Thus being awarded none. 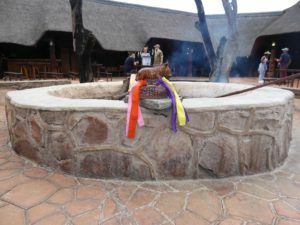 The potjie challenge was fierce – yellow, purple, orange and pink – who would cook the best potjie and ultimately take the throne as Culinary Masters, the proverbial crown of which is the trophy below. The orange team cooked chicken, the pink team beef, and the yellow team lamb. In spite of all the advantages the orange, yellow and pink teams had, it was the vegetarian pot that won. That’s all you need to know. And so it is with great pleasure that we crown the purple team the culinary champions of the potjie. Although there are still some of us with reserved suspicions. Afterall, we are South Africans, carnivores at heart. Fun peaked at the close of the potjie completion, which was followed by a relaxing game drive. Nature is beautiful. Little giraffe’s, impala, kudu, bontebok, zebra, wildebeest all running about, thankful for the rains that November brought. There were some prized siting’s, a Marshall eagle, a family of jackals with young, a monitor lizard. All beautiful, like us. To conclude, we all had a really good time – which seems to be the consensus on the day. That adjective on my mind that describes the day best: beautiful.